The movie tie-in is always a tricky situation. How close do you stick to the source material? How do you present characters in a videogame that were already established in the film? This situation is especially tricky when you’re developing a canonical sequel to a much beloved film that’s 27 years old. Just how much fan service do you interject without it becoming annoying? Is the story even worth continuing? 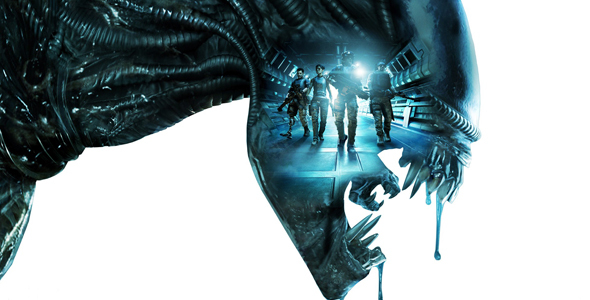 Gearbox Software managed to answer every question I just asked with Aliens: Colonial Marines. But that doesn’t make it a good game. When we left our heroes at the end of Aliens, Ripley, Hicks, Newt, and the milky remains of Bishop were drifting peacefully through the void of space. But back on LV-426, trouble was a-brewin’. Seventeen weeks later, a platoon of marines arrive at the desolate planet. And right about then is when common sense in storytelling goes flying out the window. To say any of the Aliens films had a great and deep narrative would be like saying the acting in Star Wars is the best part of the movie. However, the plot in A:CM doesn’t even try to weave a convincing story. Riddled with plot holes and some of the most atrocious pacing I’ve experienced in a game, the story comes off as glorified fan fiction. Rarely, there’s a sudden glimmer of hope that the game will try something interesting. But then a squad-mate yells an order to you, and you’re plunged right back into reality. Technically, the game doesn’t fare any better. Running on my fairly high-end PC, the Unreal 3 powered game absolutely hated rendering outdoor scenes with lots of dynamic lighting effects and skirmishes. Even turning on my flashlight in one of the many cramped corridors resulted in a poor framerate. Character animations are rough and awkward looking, especially on a certain variant of the Xenomorph. AI, enemy and friendly alike, act like a poorly coded PSOne game at times. Round a corner, and you may see three Xenos idling in a group, not reacting to the fresh prey literally standing a couple steps to the left of them. Characters look like action figure caricatures of real people (which could be a good thing to some people). On a technical level, the game is an absolute mess. The multiplayer aspect of the game doesn’t exactly make any impression either. There are four modes: Extermination, Escape, Survivor, and Team Deathmatch. Extermination is a 5v5 team game where Marines are tasked with setting up explosives to blow up Xeno eggs. The problem in translating control point like game types is that they aren’t thrilling. Which is pretty essential for an Aliens game. Oh, and get used to hearing the announcer saying “Marines, stay put until those eggs are fried!” You’ll hear that about ten thousand times per map. Escape has the most potential, being similar to Left 4 Dead, but the execution misses the mark entirely. The maps are boring, with objectives that are just that, and have no weight on the reason you’re escaping You’re presented with no backstory, and no reason to care about escaping. That’s what makes Left 4 Dead so exciting and great: You have a reason to keep pushing forward. Survivor is a 4v4 wave based game type based on the popular Horde modes of Halo and Gears of War. This is yet another wasted opportunity to do interesting multiplayer with Xenomorphs. Marines set up defenses and generally try to survive the four person Xeno rush. Xenos are still designated to grunt force, and you as the player aren’t able to really become a Xenomorph. Why aren’t you able to cut power to certain parts of the map? Xenomorphs are smart, not just grunts. Oh, and team deathmatch is team deathmatch. Run around, kill the enemy, get points, repeat. The blandness of gameplay and gametypes is made even worse by a host of technical issues. The biggest, and chief, concern is the apparent lack of host migration. If the game’s host leaves, the entire game gets dropped, and you have to go back into matchmaking. Beyond that, the game features some of the worst texture pop-in I’ve seen in multiplayer. The game lags when you open up the scoreboard. The game is just a complete mess, and Gearbox should be embarrassed by their work on the multiplayer. All is not lost, though! The weapon sounds are lifted verbatim from Aliens, so the satisfying cacophony of your pulse rifle as it shreds through a Xeno is every bit as awesome as you think it would be. Overall, the sound design is satisfying, if underplayed by the booming score that’s all too common with games of this generation. Handling your character isn’t a complete mess, but the fast paced action doesn’t fit the tone of what Aliens is to me. Slowly maneuvering through cramped corridors with only red emergency lights and a flashlight as your lone sources of light and infectious sound design better fit the mood and tone of Aliens–not blasting PMCs and Xenomorphs on the surface of LV-426. When Aliens: Colonial Marines was announced all those years ago, I, like many of you, jumped up and down in excitement at the idea of a proper Aliens game. But here we are, six years later and left with heartbreak not unlike getting dumped on prom night. The worst part about all of this, though? The game is just plain boring. Blasting Xenos ad nauseum for six hours gets redundant quickly. It’s a real shame, because blasting Xenos ad nauseum for six hours should be a recipe for success. Instead, we’re left with the empty husk of a game that could have been. Aliens: Colonial Marines was developed by Gearbox Software and TimeGate Studios, and published by Sega. PC and Xbox 360 copies were provided by the publisher for review purposes.